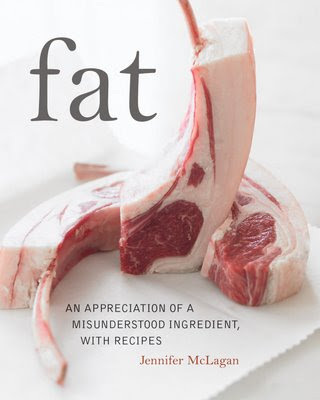 I didn't get around to half the recipes in Jennifer McLagan's Fat that I'd hoped to try. Never made bone marrow tacos, steak and kidney pudding, or bacon baklava. Never tackled the cassoulet or spiced pork crackling or dandelion salad with hot bacon dressing. 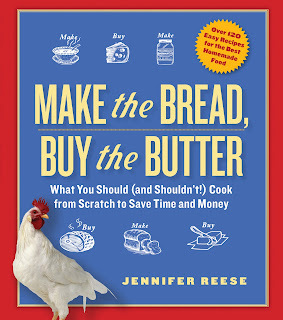 I also never wrote about the most extraordinary recipe I cooked from this book, which was McLagan's salted butter tart. One morning I assembled this handsome caramel tart, put it in the refrigerator, forgot to bring it to room temperature (which McLagan recommends) and served it cold for dessert. We all thought it was heavy and chewy, like a Twix bar without the chocolate. I left it on the counter and forgot about it until a few days later when I idly cut myself a sliver and almost passed out. I think I consumed a third of the ROOM TEMPERATURE salted butter tart in twenty minutes, and it was not just worth the price of the book, it was worth gaining ten pounds. You can find the recipe here. The other dish I ardently loved was the carnitas, which will become my go-to carnitas recipe. It's amusing that my favorite carnitas recipe comes from an Australian-born Canadian, but there's really no reason to look further. Obviously, Fat is not a book for vegans. You also have to be a fairly unsqueamish, hard-core cook to make some of the recipes, which require special orders from the butcher and a meat grinder. But once you gather your kidneys, liver, and suet and master the techniques (I have a lot of work to do on sausage making) the instructions are straightforward and precise. Fat is a fount of fascinating information about subjects not generally addressed by Rachael Ray, such as how to render lard, salt pork, and roast a kidney. For anyone who wants to delve, this is a treasure trove. McLagan has already won the 2009 International Association of Culinary Professionals award for best "single-subject" book. She's up for a James Beard award next week, and I predict she'll take that as well. can you share the salted butter tart recipe please? I'm going to add the link to the post. I made McLagan's carnitas recipe (with the refried beans that are on the facing page in the cookbook) the other night and I say Amen. It was outrageously good, and very inexpensive. Can't recommend this dish highly enough. And the book, which I checked out from the library, is fascinating: Scholarly, well-written, nicely illustrated, and merrily evangelical in its advocacy of cooking with and eating fat. I fear I will have to own this book. "merrily evangelical." I love that.